Sorry, we're all out of this one. We'll try to find more but can't promise. Acclaimed as a brilliant masterpiece of perfumery, said to be the finest women's fragrance accidentally marketed at men, and worn by both since its launch. 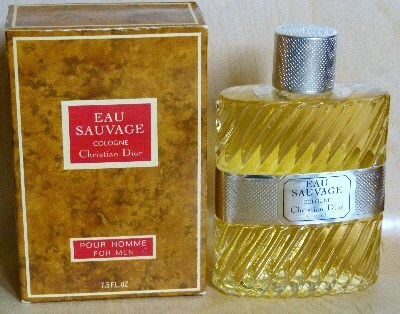 Eau Sauvage is a stonkingly good chypre. The current version is great too, but there's something about this vintage that has more heart and depth to it. It almost definitely contains more natural oakmoss absolute than is advised in modern perfumery, so if in doubt, test it on smelling strips or wear it on your hanky. Natural oakmoss can give some people a rash, hence the fuss.